Padma and Jojo are the kind of couple you just want to be around. Even if something mundane is happening, they are still having a blast because they are together. Their happiness is contagious in the best way! 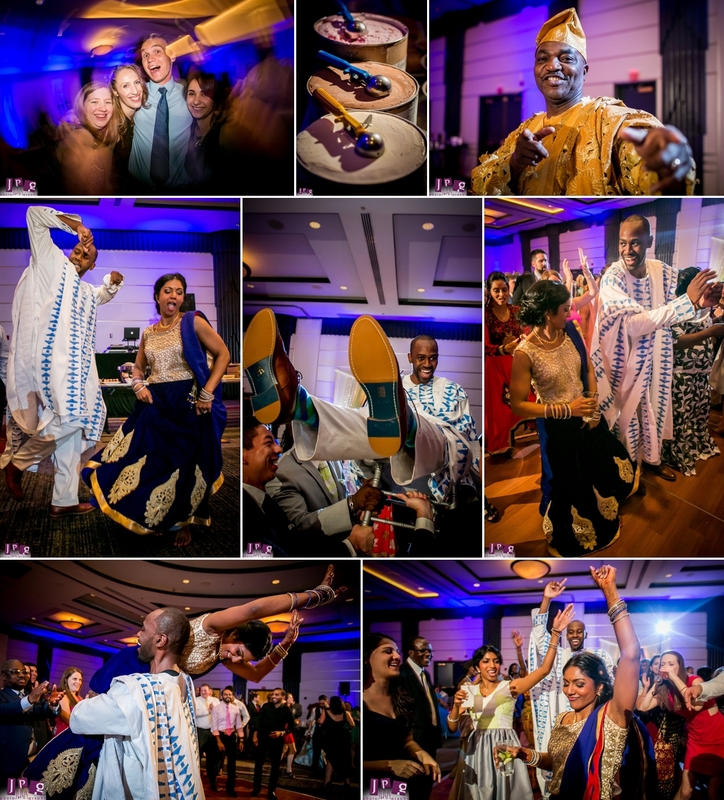 That said, their multicultural wedding at Loews Hotel was anything but mundane. She’s from India. He’s from Ghana. The result was a wedding absolutely bursting with sensory overload. 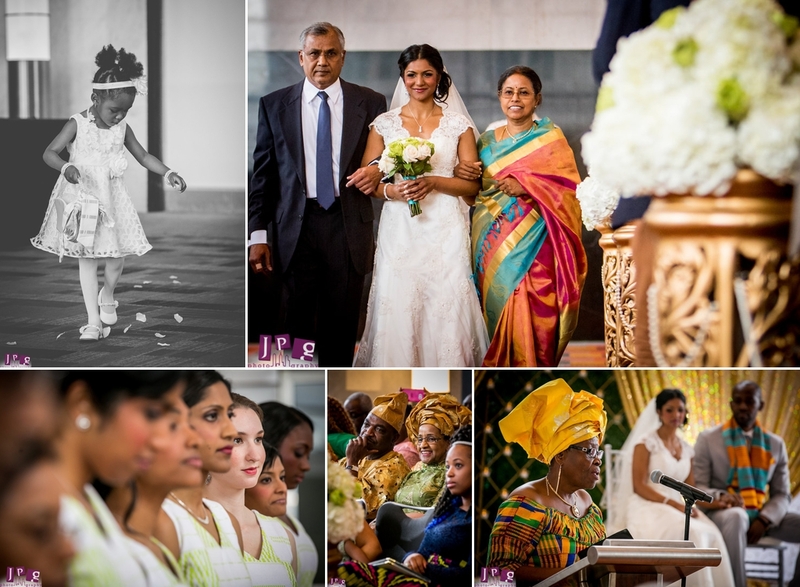 From the vibrant colors to the aromatic cuisine to the music that crossed continents, Padma and Jojo’s big day kept every frame of the JPG Photography team’s cameras filled with light and love. 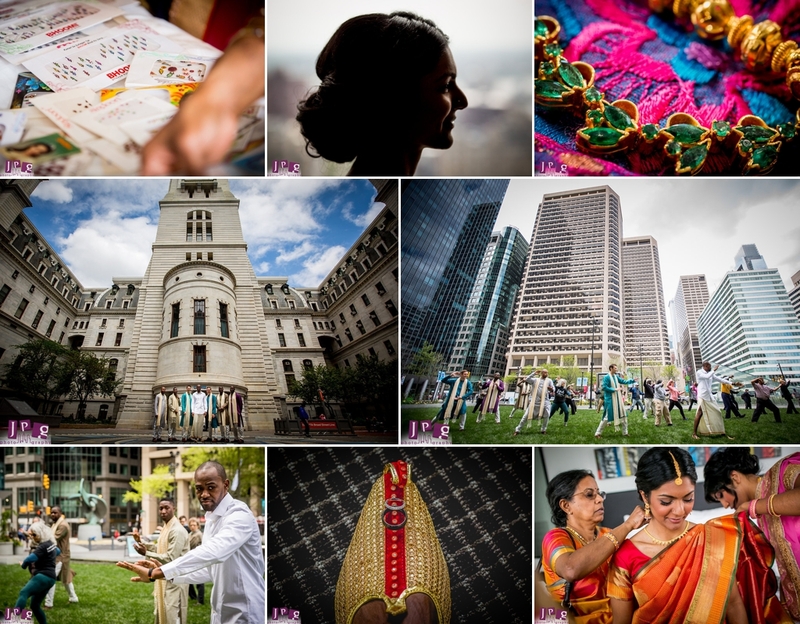 The whole day took place at Loews Hotel in Center City Philadelphia. 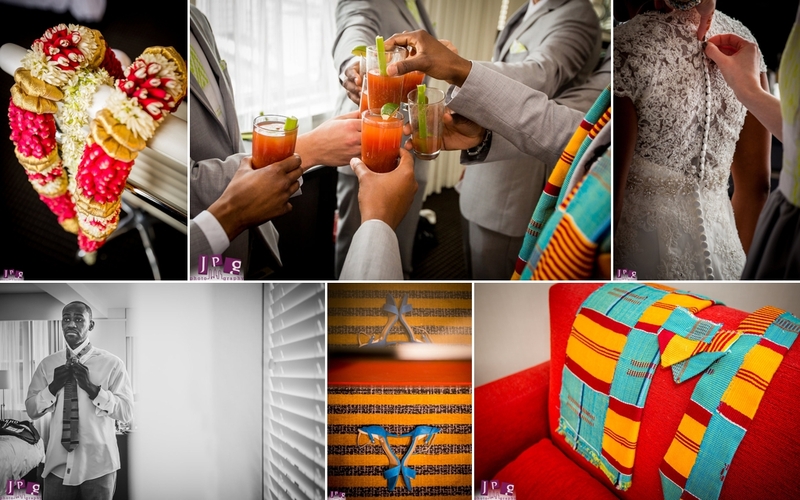 Throughout the course of the event, both bride and groom had multiple wardrobe changes to acknowledge their web of cultural connections. 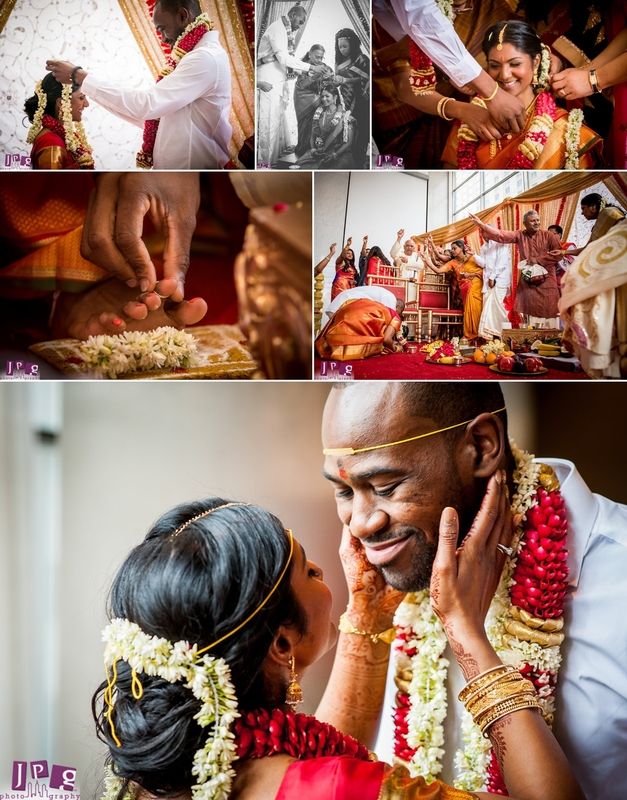 They began in traditional Indian attire for their sweet first look and the Indian ceremony. 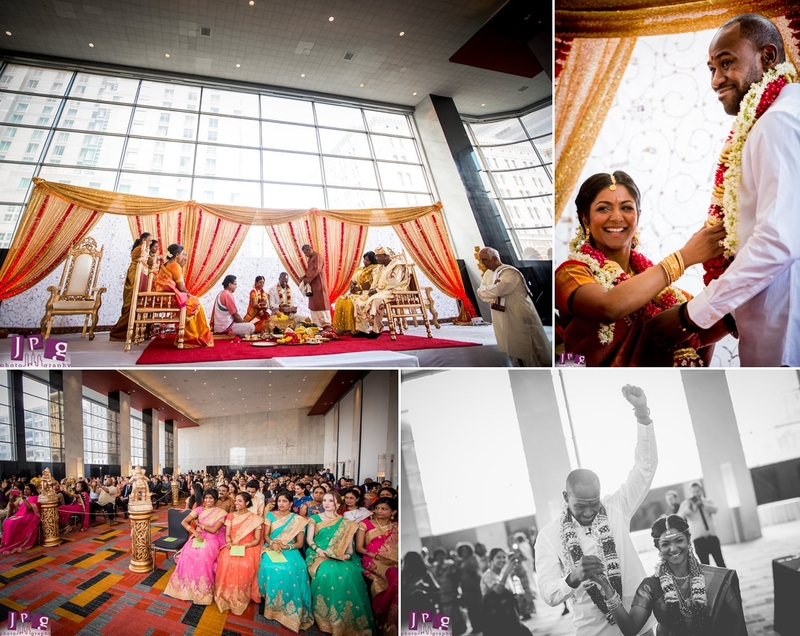 It isn’t very often that you see a wedding with two completely different ceremonies back to back, and as visual artists, the transformation was so interesting to document! 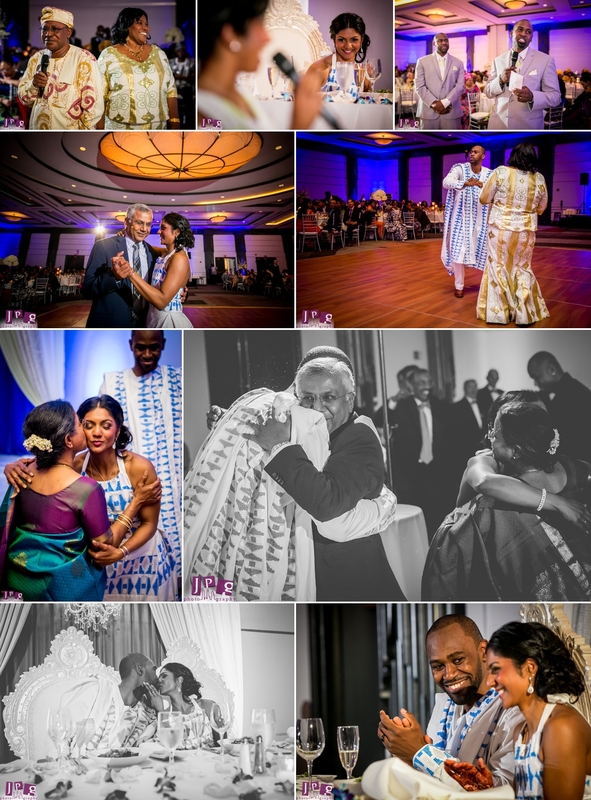 After the couple exchanged nuptials with garlands and incense, the whole room was converted into a traditional Christian ceremony and they did it all over again with a classic walk down the aisle, exchanging of rings, and the bride dressed in white. Throughout it all, each side of the family watched the opposite customs enacted with curiosity and awe. 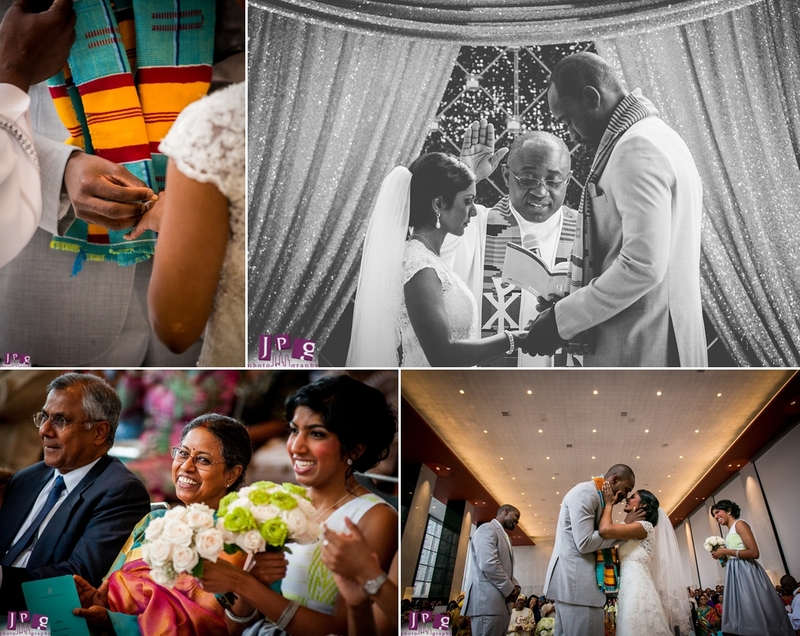 At the end, after multiple languages, gestures, and rituals, the bride and groom sealed it all with a kiss. One of my favorite parts of the day happened during the portrait session around City Hall when Jojo spotted a group of Tai Chi enthusiasts practicing in Dilworth Park and decided to hop right in. 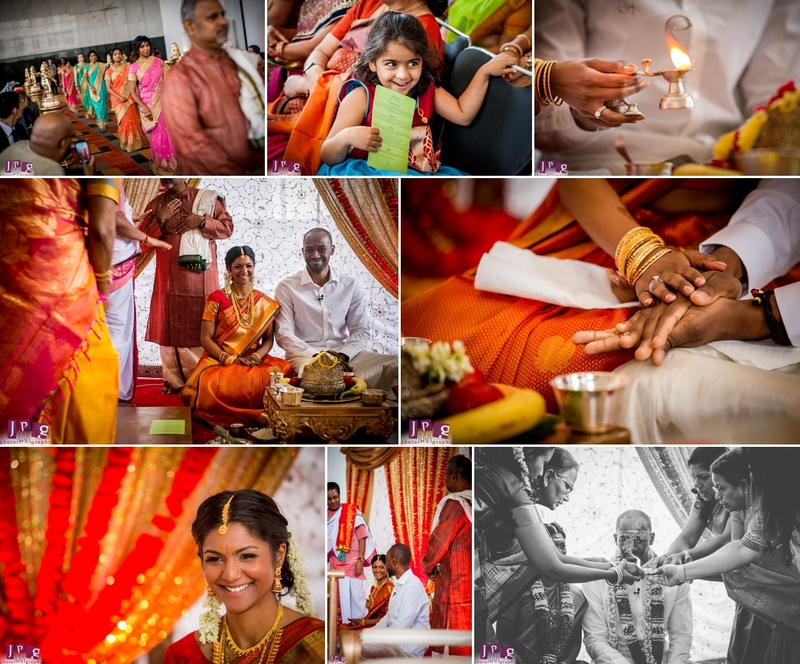 The spontaneity made for some great images! Another surprise came later during the reception, when Padma’s bridesmaids performed a choreographed Bollywood-style dance in honor of the couple. 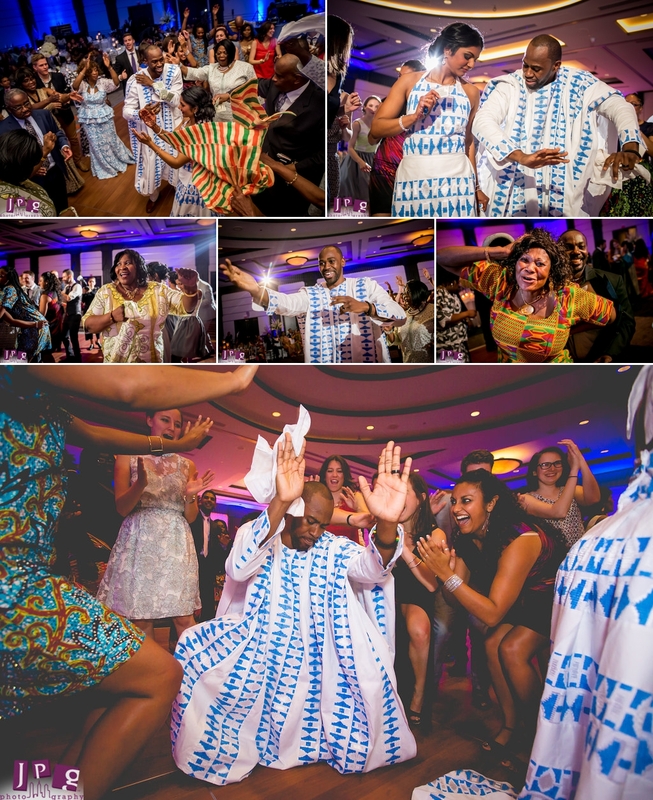 Music and dancing were two more exciting ways each side of the family expressed their traditions. 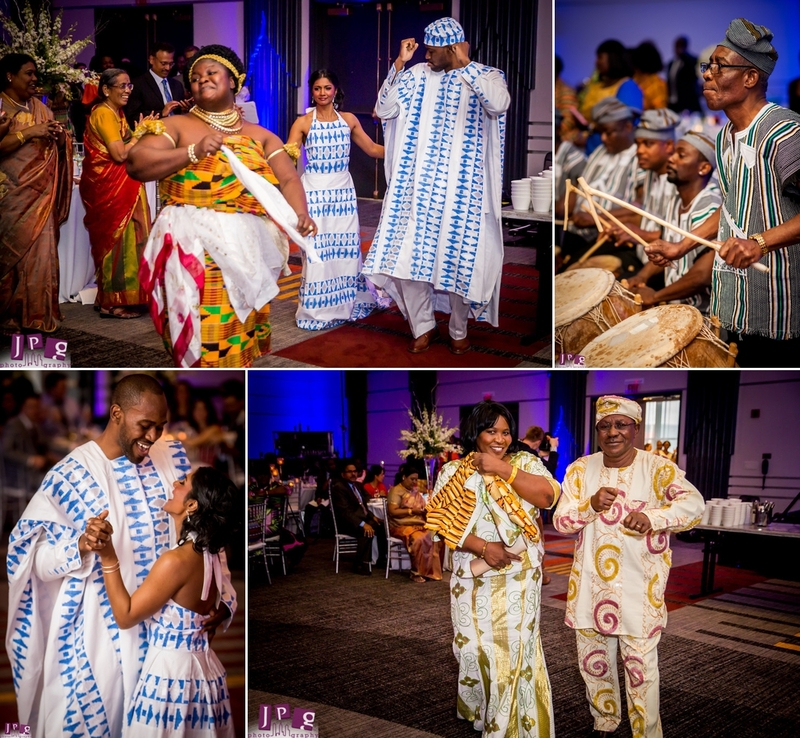 When Padma and Jojo made their entrance in beautiful Ghanian clothes made of kente cloth, they were greeted by drummers and dancers as they made their way to the dance floor. 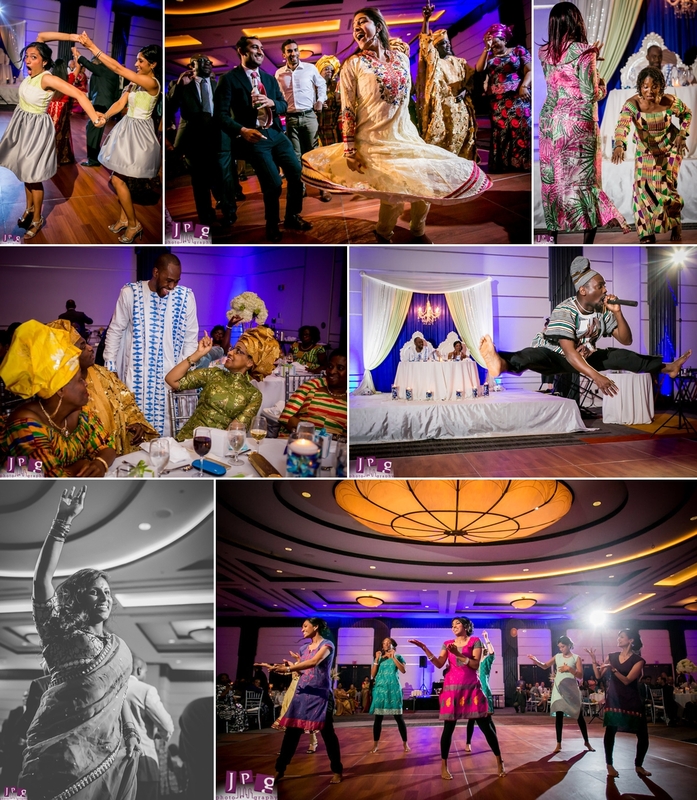 Once the party really got started, the variety of music and style brought everyone together, and it was amusing to see that from one country to another, a lot of dance moves were the same. Throughout the day, the language of love bridged all the gaps, and we left with the best feeling of satisfaction. 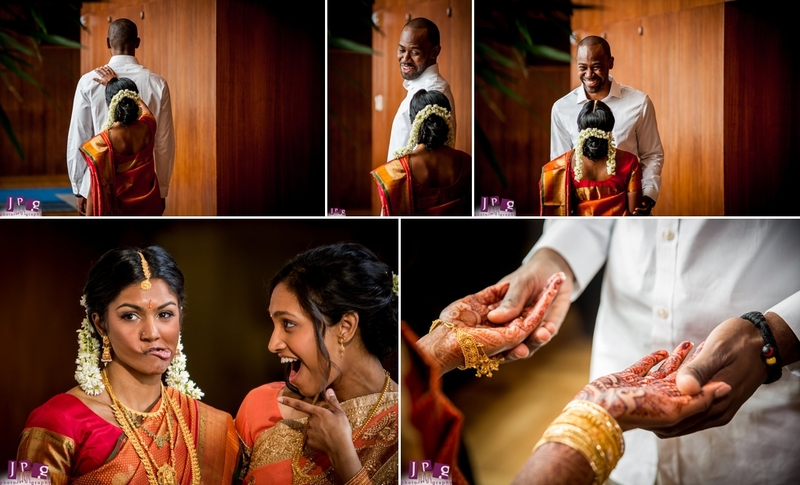 Padma and Jojo, thank you so much for inviting the JPG Photography team to be a part of this milestone in your lives. We wish you all the best!